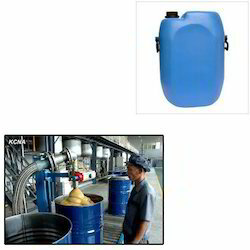 We are a leading Manufacturer of jerry cans for lubricant from Mumbai, India. Valued as a reliable manufacturer and supplier, we are instrumental in manufacturing the optimum quality of Jerry Cans for Lubricant. Used for storage of lubricant and allied liquids, the rendered jerry cans are developed by using cutting-edge machinery. In addition to this, the jerry cans for lubricants are rendered by us various sizes. Looking for Jerry Cans For Lubricant ?